Alas, we know what it’s like. Trying to ensure that a team works smoothly is easier said than done. Remote collaboration is essential in the modern technologically-shrunk world, and we all need solutions for integration and collaborative teamwork. This is where SharePoint comes in! SharePoint (for those who may not know) is a server-based platform used primarily for collaboration and sharing documents. It can also be used to create private websites, remotely access MS Office files and specifically search for certain documents and authors. It’s like DropBox on steroids, basically. It should be no surprise, then, that the latest SharePoint 2016 features are really something to behold! SharePoint now allows you to efficiently manage and cross-reference files better than ever. SharePoint 2016 now comes with a bunch of new features and updates that increase its performance, storage, capacity, speed, and usability. Many users’ complaints about the 2013 edition of SharePoint are now gone or at least somewhat diminished. 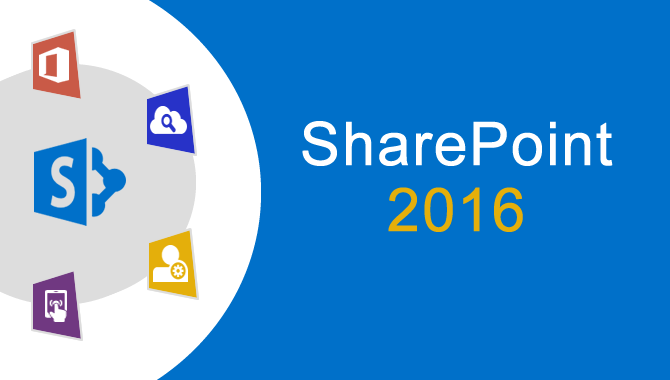 So what are some of the things that you can expect from SharePoint 2016? We outline a few of the key new features below. Back in 2013, SharePoint took over 40 seconds when creating a site. The 2016 update has now seen new PowerShell configurations that allow you to create site collections in mere seconds via templates. Why do something in 40 seconds when you can do it in a couple? This new feature also generally improves site performance. Win-win! SharePoint is unique in that its storage can be in-house (i.e. on the user’s premises on private servers) or on the cloud online. Some businesses (particularly those with sensitive data) prefer to keep their storage local, whereas others trust SharePoint’s cloud storage capabilities. Many, however, want a combination of the two for extra convenience and back-up security. Well they’re in luck; SharePoint 2016 now comes with a hybrid storage feature that allows for simultaneous in-house and cloud-based storage. This simplified feature is also fully-automated for your convenience. Never worry about storage again! Microsoft has it covered. Sometimes you may want to preview an image or video without actually opening it fully. SharePoint 2016 now allows you to do this while hovering over picture and video thumbnails with your mouse. You no longer have to click on content to view it, which makes for more efficient organization. SharePoint used to be designed with computers and laptops in mind; accessing it from mobile devices used to be near impossible due to the unresponsive UI. Thankfully, Microsoft has joined us in the 21st century with SharePoint 2016, which now has a mobile version featuring excellent design and UI. This allows you to work remotely with ease, and further promotes cross-device functionalities. It’s also just super convenient! SharePoint 2016 has increased its maximum file size by almost 5 times, from around 2GB to 10GB. This new 10GB file size limit allows you to easily upload and transfer large files such as videos and high-quality images. This is also handy if you previously had to use different cloud drives for different types of files due to size restrictions. It is generally recommended, however, not to upload absurdly large files to SharePoint. This is due to the risk of disconnection that increases as you begin an inevitably lengthy upload process. Many companies host sensitive data and customer information these days. This makes hacking threats a major concern for businesses. 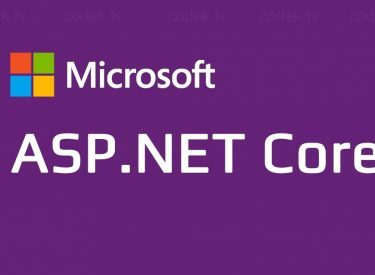 Microsoft therefore decided to improve SharePoint’s encryption connections for the 2016 addition, making it even harder for hackers to access your organization’s data. Transport Layer Security (TLS 1.2) is also a new feature in SharePoint. This system allows important app communication to take place with more privacy and security than ever before. Basically, you can really trust the 2016 edition of SharePoint. If you want to control your flow of data that is exposed to the cloud, then this new 2016 feature is simply essential. SharePoint’s compliance centre allows you to invent your own data policies and apply them to your environment’s data flow where appropriate. You can essentially tailor-make your security systems and ensure that your operations have multiple safeguards in place for sensitive data. The links you send out will now remain in place even when a document is moved or renamed by an author. This nicely alleviates the frustration of disappearing links often seen in previous versions of SharePoint. Use a Resource-ID-based link for documents hosted in SharePoint in order to achieve this. You can then simply search for the resource ID containing the document stored in the database; you no longer have to search by name. 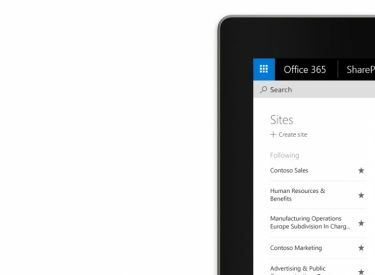 The Office 365 Search will now take into account your On-Premises SharePoint Search Index so that it can give you query results from both sources. This unilateral search function makes data management so much easier than before. Bear in mind, however, that this function requires you use Office 365 Search for this to work. SharePoint 2016 On-Premises users who query terms against their On-Premises Search service will still continue to receive those results only. Users generally have little preference for what platform they use to get their work done; they just want to get it done. 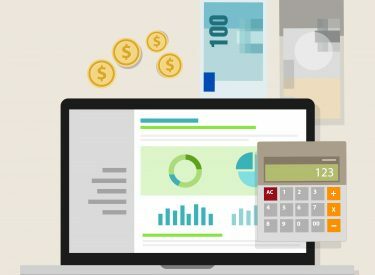 SharePoint and Office 365 can obviously be used in conjunction with one another, and this means that they need to be similarly designed for UI and UX reasons. 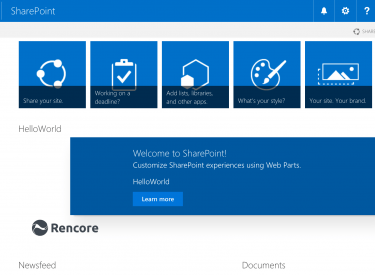 The new interfaces of SharePoint and Office 365 are thus incredibly similar, making the UX more seamless and convenient. SharePoint 2016 also introduces the new App Launcher which further helps it to complement and mirror the Office 365 experience. Both programs are now incredibly synergistic. This has been available in SharePoint 2013 since SP1. However, with SharePoint 2016 you can now easily redirect your “My Sites” to your Office 365 OneDrive for a Business host. To put it simply, if someone clicks on OneDrive, they will be automatically redirected to their Office 365 My Site as opposed to their equivalent on-premises site. To speak a bit more generally for a moment, SharePoint has actually now updated a lot of its systems and general back-end infrastructure. The system now runs a lot more smoothly, and small bugs and hiccups from the previous editions have now vanished. A lot more thought has been put into the latest SharePoint by Microsoft, with noticeable enhancements of UI and UX elements. Want a specific role? You can now install it on SharePoint servers. This enables you to install only the required components for each role’s server. You can also convert servers and get them to run new roles if necessary, allowing ultimate functionality and control. Clicking “Follow” on both On-Premises and Office 365 sites will now allow you to see them all in one place under the “Sites” app in the App Launcher. This makes referencing much easier, and doesn’t require you to remember “where” you followed a particular site. SharePoint server managers will be welcoming this news with open arms, we imagine. The size and quantity of SharePoint’s packages has been severely reduced. The downtime previously required to update SharePoint servers has now gone completely also. SharePoint server managers rejoice! SharePoint’s document libraries can have seemingly infinite numbers of documents and it has never been an issue. However 5,000 has always appeared to be the limit for many end users who were unaware that they had to index their columns. To cut a long story short, the 5,000 view threshold is actually there on purpose to ensure that SharePoint runs smoothly and efficiently. Its existence stops SQL from locking the entire database, essentially. It’s always been a necessary evil as such. So to get around this somewhat-annoying problem, they have they automated the creation of Indexed Columns. This means that the 5,000 limit is essentially still there, but you needn’t worry about it anymore. “OneDrive for Business” is becoming even more than simply a My Site. It aims to bring users all to one place, and helps them to access and modify their files regardless of location. You’ll now be able to navigate all your sites and files from there! So there you have it! A rundown of the main new features and updates you can expect in the 2016 SharePoint package. Be sure to take advantage of the increased speed, storage and interconnectivity, as Microsoft looks to rival its competitors in the collaboration platform industry. 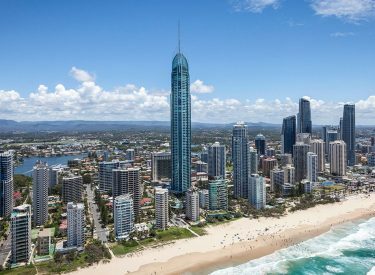 Though many businesses may turn to services such as GoogleDrive and OneDrive; Microsoft’s SharePoint is still the cornerstone for collaboration in many PC-based businesses.